Queen Elizabeth gets extra cheeky during 'The Coronation' documentary -- see her best moments! Turns out, it isn't all jewelry and waving. 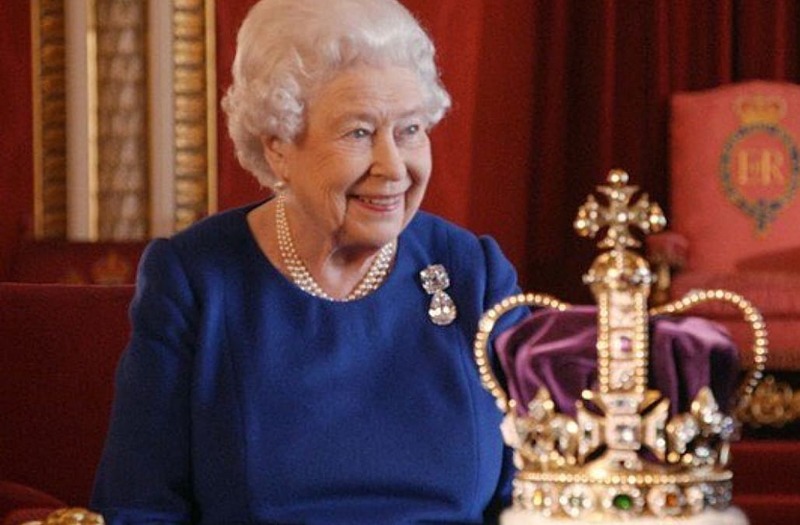 The 65th anniversary of Queen Elizabeth II's coronation was honored in The Coronation. The documentary aired on the BBC and the Smithsonian channel and detailed the history of the Crown Jewels, as well as the ceremony that passes the kingdom's highest title from one monarch to the next. Viewers took to Twitter to highlight the Queen's best comments, which she delivered drily and as it turned out, hilariously. When watching back the footage of her coronation in 1953, she noted, "Awful lot of walking backwards, isn't there?" And as a historian remarked how everyone looked like they knew exactly what to do, the Queen said, "Well, they jolly well should have done after the number of rehearsals we had." Those all important Crown Jewels were hidden away in a biscuit (cookie to those in the U.S.) tin during WWII, something the Queen had been unaware of at the time. "Oh.....did he tell anyone? What if he'd died?" she asked, referring to the person who handled that plan. And that gold carriage she rode in for the ceremony? "Horrible," she declared flatly. Tonight watch as The Queen talks about her experience of travelling in The Gold State Coach for Her Majesty's Coronation, in the new programme The #Coronation@bbcone at 20:00 GMT. Prince Charles and Princess Ann were alive for their mom's coronation, but it was a fairly busy day, as she hilariously admitted when she asked what the kids did the rest of the day. "No idea. Wasn't there," she said. The Queen is actually making me laugh out loud. Possibly the highlight was how casually and almost roughly Her Majesty handled the coronation crown. One user wrote, "The nation gasps in horror as The Queen manhandles The Crown." Another quipped, "The queen grabs the Crown like I grab for biscuits." "Greatest moment of her reign right here," another declared. One user noted that her dry attitude hinted that maybe this documentary wasn't the thrill for her that it was for the general public. "I’m not terribly convinced that Queenie is an enthusiastic participant in this #coronation programme," they wrote.